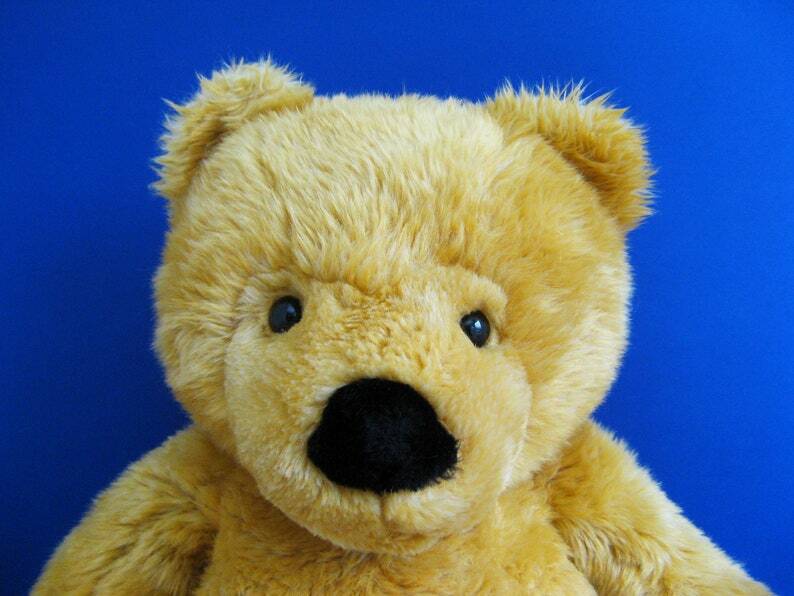 Utterly adorable vintage Teddy Bear with removable outfit. Measures about 16 inches tall. He's in very good, gently played with condition. Tush tag is faded. Made by Chosun.